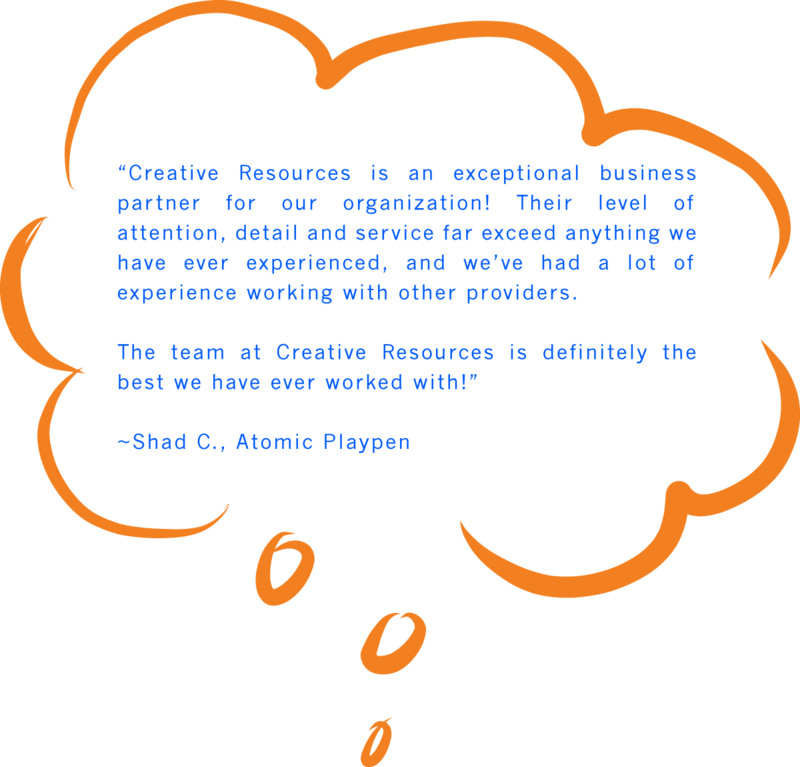 Creative Resources is a full service creative agency driven by innovation, design, and QUALITY BRANDED MERCHANDISE. We curate collections of unique PROMOTIONAL ITEMS and EXPERIENTIAL MARKETING to promote BRAND LOYALTY and EMPLOYEE SATISFACTION. We turn everyday people into champions for your cause, by turning heads and creating impact. "Wow, you guys are really different!" If you’re wondering what it’s like to work with us, the first thing you should know is that we really are different from other promotional products companies. All the cool kids get our emails. Sign up here. © 2019 Creative Resources. All Rights Reserved.